Award-winning international pop icon P!NK has announced collaborator and GRAMMY nominated singer-songwriter Julia Michaels will join her Beautiful Trauma World Tour as the special guest in 2019. Michaels worked alongside P!NK to write the strikingly honest track “Barbies” and the melancholic song “For Now” from her dynamic seventh studio album, Beautiful Trauma. 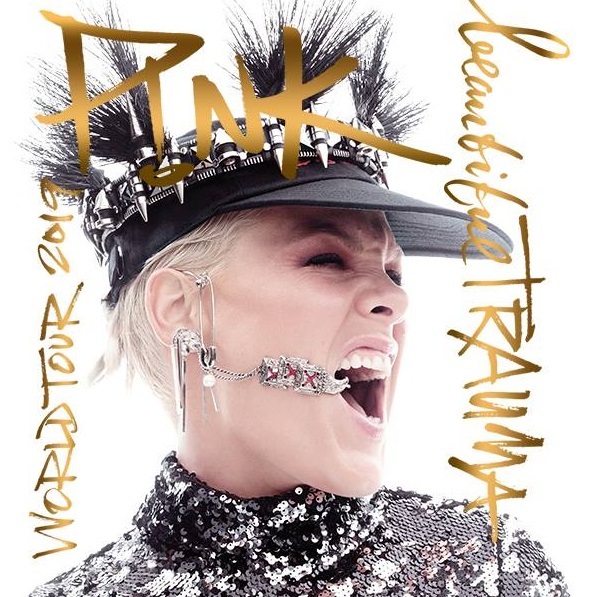 Produced by Live Nation, the critically acclaimed tour has been lauded by fans and critics alike for P!NK’s spectacular physicality and powerful vocals. The trek resumes on March 1, 2019 in Fort Lauderdale, FL, and will make stops in Nashville, New Orleans, San Antonio, Los Angeles, and many more before wrapping on May 21, 2019 at Madison Square Garden in New York City. Additionally, due to unprecedented demand, the Beautiful Trauma World Tour is adding two California dates for fans to experience her showstopping performance. P!NK and special guest Julia Michaels will visit the Honda Center in Anaheim on April 13th and Los Angeles’ STAPLES Center on April 15th. Pink was born Alecia Beth Moore in Doylestown, Pennsylvania, and was later raised in Philadelphia. Her parents, Judith Moore (née Kugel), a nurse, and Jim Moore, a Vietnam veteran, divorced when she was very young. Her mother is from an Ashkenazi Jewish family, while her father has Irish, German, and English ancestry. As a child, all Pink wanted was to become a singer, and she was driven by the music of Madonna, Mary J. Blige, 4 Non Blondes, Janis Joplin, Billy Joel and Whitney Houston. Pink was a very unique teenager, and went through phases as a skateboarder, hip-hopper and gymnast. She spent several years as part of the club scene in Philadelphia, singing guest spots and performing for talent shows. At the age of 13, she was asked by a local DJ to sing back-up for his rap group, Schools of Thought. A short time later, she was discovered by a record executive and joined a female R&B group, Choice. When that didn't work out, she signed with LaFace Records and began her solo career. In spring 2000, she released her debut, "Can't Take Me Home". She co-wrote many songs and watched it go multi-platinum by the year's end. Her debut included the Top 10 hit, "There You Go", which was certified a gold single.